Veneered door. 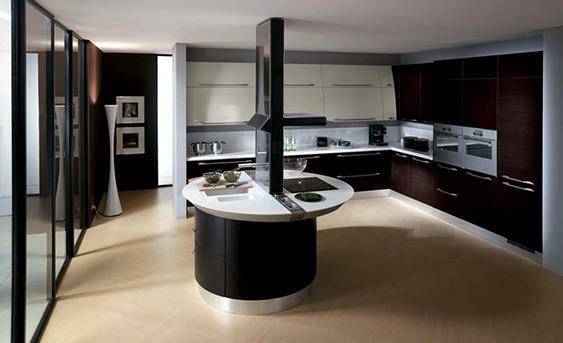 The entire body of the kitchen, in "Wood", is arranged around the island, with its rational appeal and highly original dynamic, curved shape. The sinuous, ergonomic lines of base and wall units make it easy to organise storage space effectively. The base units have roomy pull-out big baskets, while the fl ap doors of the wall units mean more space inside.